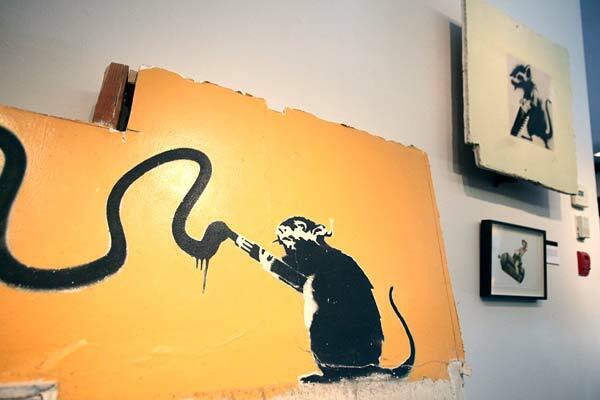 Banksy Celebrated in New Video! Celebrating the diverse UK art scene & Banksy! British street artist Banksy is celebrated in a new video which explores why England’s creative sector is the envy of the world. Developed by Arts Council England, the national development agency for the arts, the video celebrates how art and culture has helped to shape communities, broadened horizons and enrich people’s lives. This piece of solid gold from the Village People was released in 1985, the height of 80s music and features one hell of a funny video! Not just my latest video but also the first from Mr Pilgrim graffiti artist! The video features a selection of Mr Pilgrim’s graffiti art and paintings all available to view here online at MrPilgrim.co.uk. The I created the music a few years ago it’s called ‘Something a little strange’ taken from the album Only Human. Hope you enjoy it! I’ll be adding more videos of Mr Pilgrim’s music & graffiti art so keep your eyes & ears peeled. Click the link for more graffiti art from Mr Pilgrim Graffiti Artist or catch up with me on Mr Pilgrim Facebook! Mr Pilgrim’s Best Movie Death Scene…EVER! I love these old movies that are so bad they’re good. I don’t care whether it’s an old kung fu film or a creature feature I want terrible acting, a plot that doesn’t make sense, special effects made using a toilet roll and some elastic bands and some death scenes like this one!